The Prudential Eye Awards, one of Asia’s leading events for emerging contemporary artists, has hired W Communications as its regional PR lead for its forthcoming awards and exhibition in 2016. The awards show, now in its third year, recognises the best Asian emerging talent in contemporary art across five categories, with the winners receiving a S$20,000 development fund. The overall winner will receive an additional S$30,000 and a solo exhibition at London’s Saatchi Gallery in June 2016. 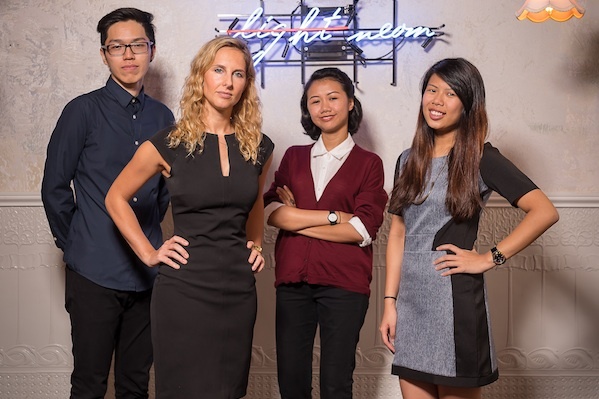 W Communications Singapore team is charged with creating a PR campaign around the awards in January being held at Marina Bay Sands, and the public exhibition at Singapore’s ArtScience Museum from January until March. The agency’s remit is to build greater awareness around Asia’s growing art scene, focusing on delivering comms strategy across Singapore and the nine other Asian countries represented by the shortlisted artists. "We’re really excited to be working on such a formidable art concept, which spans across key territories in Asia," said Annabel Fox, managing director of W Singapore. "W Communications has a history of working with on fantastic art projects, from the Contemporary Art Awards in London to Ronnie Wood’s Scream gallery and Yota Space, the world’s largest digital arts festival in St Petersburg, which won PRWeek’s Best Global Campaign." Janice Fong, account director of Parallel Contemporary Art, said: "We were really impressed with W Communications’ enthusiasm for the project, as well as their art experience combined with strong consumer PR skills. "As well as engaging with the art press, with the Prudential Eye Awards our objective is also to build a compelling story across the media to boost the awareness of contemporary art across the region, and shine a spotlight on Asian emerging artists through our two-month public exhibition".